Superbook takes Chris, Joy, and Gizmo to meet John the Baptist, who baptized Jesus in the Jordan River. John preaches a message of repentance to the crowds and fearlessly confronts King Herod about his sin. The wicked queen plots revenge by having her daughter dance to entice the king and ask for John's head as her reward. John faithfully chooses to follow God, and the children learn they can point others to Christ. CBN's Superbook team is made up of Emmy-winning artists and storytellers, whose credits include Mulan, The Lion King, and Beauty and the Beast. Together they are collaborating to completely reimagine the classic Superbook series using the latest 3-D CGI technology. The new Superbook honors the life-changing legacy of the classic series and introduces the stories of the Bible to a new generation. 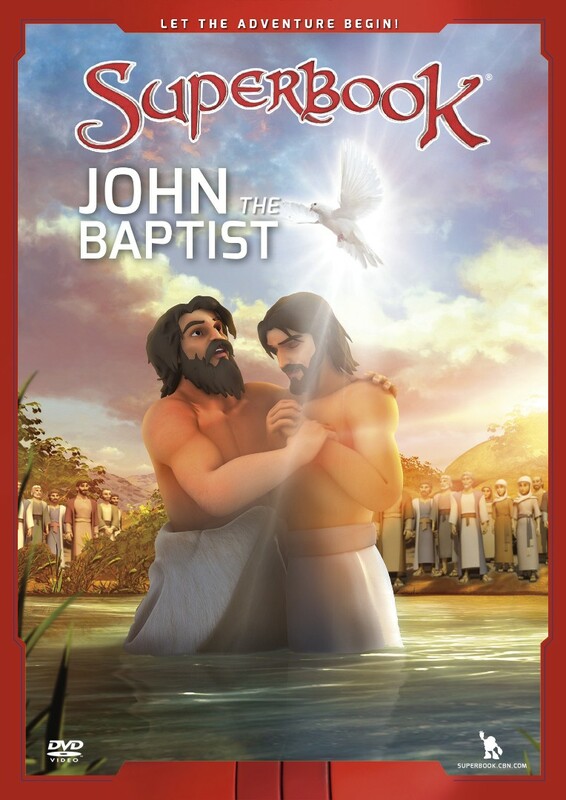 Superbook: John the Baptist by Superbook was published by Charisma House in March 2017 and is our 3564th best seller. The ISBN for Superbook: John the Baptist is 9781943541324. Be the first to review Superbook: John the Baptist! Got a question? No problem! Just click here to ask us about Superbook: John the Baptist.